Eltham is part of the borough of Greenwich, lying to the south east of the heart of London. With many green and open areas, it’s a particularly pleasant region with sites such as Shooter’s Hill, one of the highest spots in the capital which is also home to the gothic Sevendroog Castle. 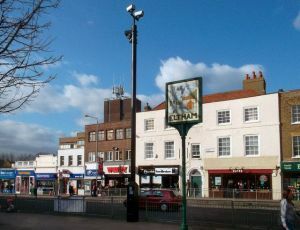 Road users can travel to the town via the A21 or alternatively, there is public transport with Eltham train station which lies on the Bexleyheath line. 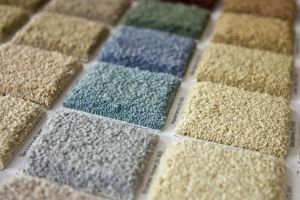 With home design and refurbishing becoming more and more popular, the demand for new carpets and proper fitting has sky rocketed. Our hand-picked team of employees has been trained to provide you with nothing less than perfect. With our services, not only do you receive your new, fitted carpet in a timely manner, but we get the job done for you at a price you can afford. We have done our research and only use suppliers who can provide the best quality underlay at reasonable prices. Underlay is designed to make your carpet feel more comfortable, last longer, and minimise the noise from flooring beneath the carpet. Our suppliers guarantee that for you. With dozens of different colours, fabrics, thickness levels, and styles of carpeting, deciding the right style for the room you are fitting can be stressful. We know, we’ve been there too, but don’t let that stand in your way! Give our team a call for some expert advice on your perfect fit. If you really want to be specific, we offer an at home service, which is where we bring some carpet samples to your house that we believe are best for your project. So, there is no need to leave Eltham, London! You can choose from the selection we bring or, if none of them suits your taste, you can show us what you had in mind and we will do our best to find a match in our store! This service is provided absolutely free. Wooden floors have become more popular amongst home and business owners. This is due to their natural beauty and elegance that they can add to a room. If nothing else, they’re also much easier to clean! Our company knows what it takes to properly install wooden floors, whether it’s real wood or engineered, so the fit is perfect and not a single scratch appears. Wooden floors are also made to last you years upon years and when installed correctly, not even the drop of a picture frame can damage the wood. Our employees have been trained to not only install your floors, but also answer any questions you may have regarding the style of wood, strength, colour, etc. We are always willing and able to answer your calls. If the beauty of wood flooring captures your attention but the cost and upkeep doesn’t, there is another option for you. Laminate flooring is a photographic process that gives the appearance of hard wood floors, without the hard wood price. Our company works with top suppliers in the industry who will provide you with beautiful, sturdy flooring for a beautiful price. Laminate floors are the easiest to keep clean, even your child's sticky play dough will mop right off the surface! This product is also the most recommended for people who have dust allergies because the flooring does not hold any particles! Our company has taken a strong interest in vinyl tiles for flooring. We work only with top suppliers including Amtico and Karndean, both of which guarantee a sturdy, beautiful floor. Vinyl tiles are designed to provide you with the look of stone flooring or even ceramic, but give you the feel of warm and soft vinyl. Our employers are fully trained in all types of vinyl tile installation, so a perfect fit and feel is guaranteed! Luxury vinyl tiles such as those from Amtico or Karndean are a premium brand and have a price tag that reflects this. If such products aren’t in your budget, our company offers our own brand of luxury vinyl tiles that comes at a much more reasonable price. For something soft and comfortable to walk on (that isn’t as hard to clean as carpet! ), vinyl flooring or linoleum flooring is a great option. Both products are strong and durable while also being waterproof. These factors make these flooring styles great for high traffic areas such as dining rooms, kitchens or bathrooms. For those eco-friendly people out there today, linoleum flooring is a great option. Our company works with suppliers who make their linoleum products from raw materials such as linseed oil. Cushioned vinyl flooring is also a great option for those who want a softer feel to their hard floor. This style of flooring is great for those on a low budget who want something that will last them for years. For those of you who run along the creative side of life, our company offers a service that will definitely excite you: made to order flooring. That’s right, our company can take your unique, one of a kind flooring idea and make it real. If you’re craving a zigzag pattern or a specific shade of dark purple carpeting, we can give it to you for a reasonable price. This service has become very popular over the past couple years, so at this point it’s kind of hard to shock us with your design. Yes, that’s a challenge!